What a day! After a week of awesome skiing in Chamonix, I wake up at stupid o’clock to catch a very early flight from Geneva to Paris. I’m flying Air France and have a couple of hours grace to catch my flight on SQ back to Singapore … or so I thought! We had 15cm of snow overnight and it was still snowing when I got to Geneva. Boarding the flight was on time, and then the announcement that we would be ready for take-off in ten minutes when the plane had been de-iced. Forty minutes later comes the announcement that the de-icing team has just arrived …. sigh. I’m meant to arrive in Paris at 8.40am … the flight finally lands at 10.10am. My SQ flight leaves at 11am, and I hop impatiently at the baggage carousel till I get my luggage (10.25am! )and leg it to Terminal 1. Paris Charles De Gaulle Airport is a pain in the neck at the best of times, and having to transfer terminals doesn’t help my cause at all. In the meantime I’m on the phone to the very helpful people at SIA Reservations and they must have sent a dozen urgent messages to the check-in counter along the lines of “WAAAAAIIIIIIT!!! I’m coming!!!!!!”. 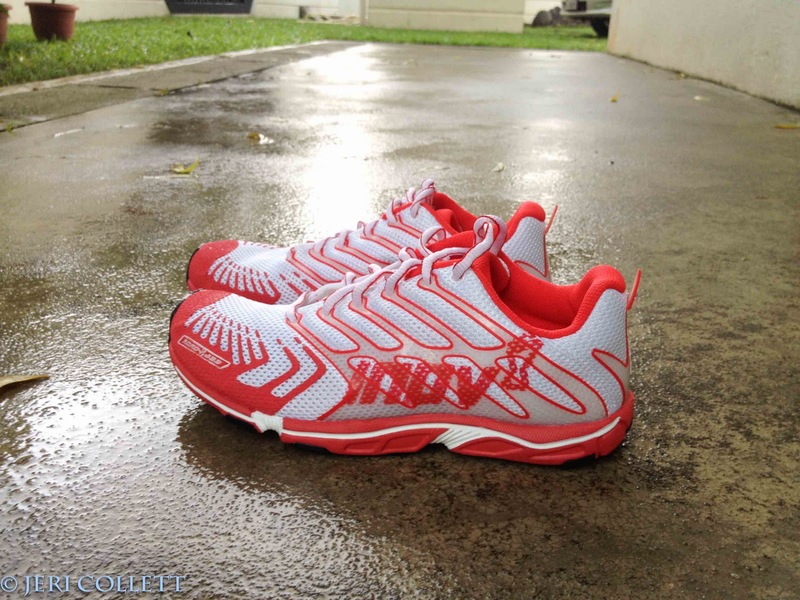 So with all this time on my hands, I’m finishing off my trio of shoe reviews with the low-down on the Inov8 Road-X 233. Road shoes! I only use road shoes if I have a road race or an interval workout on the track. The tally stands at 15 pairs of assorted trail shoes to one lonely pair of Adizero Boston that’s seen better days. So when I saw the new Inov8 Road-X series, I figured I needed a new pair. I needed something to run the marathon in anyway. Inov8 have introduced a new range of road shoes, and since their strength and expertise lies in trail shoes for all terrains and abilities, I thought it’d be very interesting to see what they could do on the road. 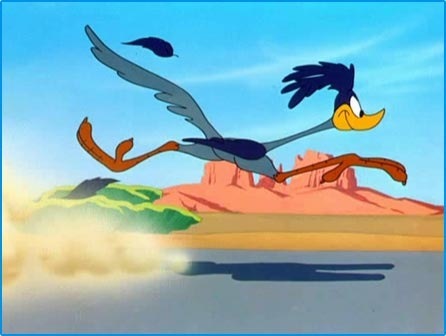 Road Runner .. Beep Beep!! 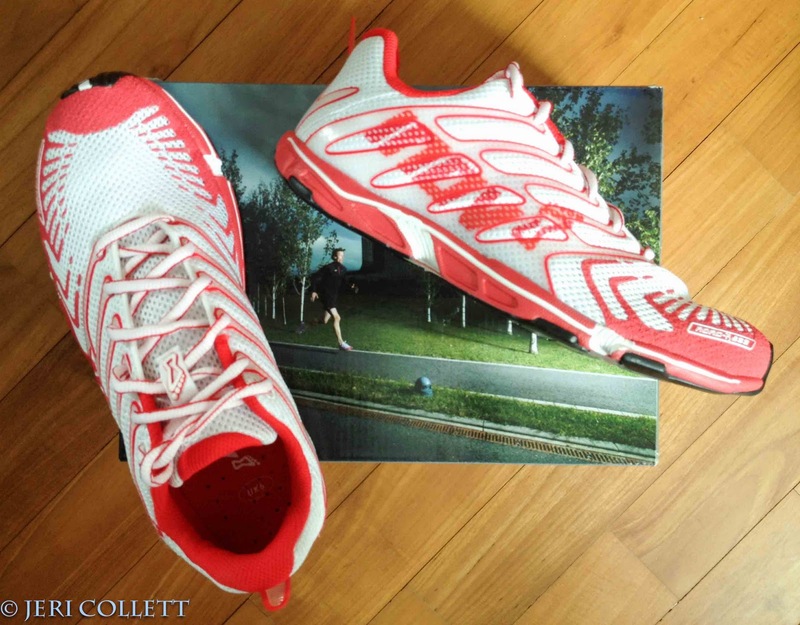 The philosophy behind Inov8 shoes is to promote natural running, incorporating the natural biomechanical function and motion of the foot within their design. They provide shoes with different Shoc-zones that will guide a runner along a transition journey with natural running as the ultimate goal. Like the rest of my Inov8s, the Road-X 233 is a 2-Arrow shoe, meaning it’s got a 6mm heel differential and whilst that’s not bare minimum, it’s still way less than conventional trainers. The 233s are named for their weight .. 233g for a pair of size UK8. In my size, they look and feel light enough to be a long-distance racer. They have the Road-X sole, which provides a little more grip and stability than the Road-X Lite or Bare-X series. The 233s also have the Dynamic Fascia Band midsole, which is meant to “recreate the ‘Windlass Effect’ delivering a kick of energy with each step, helping the athlete to run faster and more efficiently.” It does this by replicating and supporting the foot’s plantar fascia ligament. Given my lack of training and plantar fasciitis last year, I’m hoping this will help prevent any recurring PF from doing a marathon without a decent buildup. Post-marathon .. much better! This is what shoes are meant to look like! I had a few training runs in the 233s and they felt good. 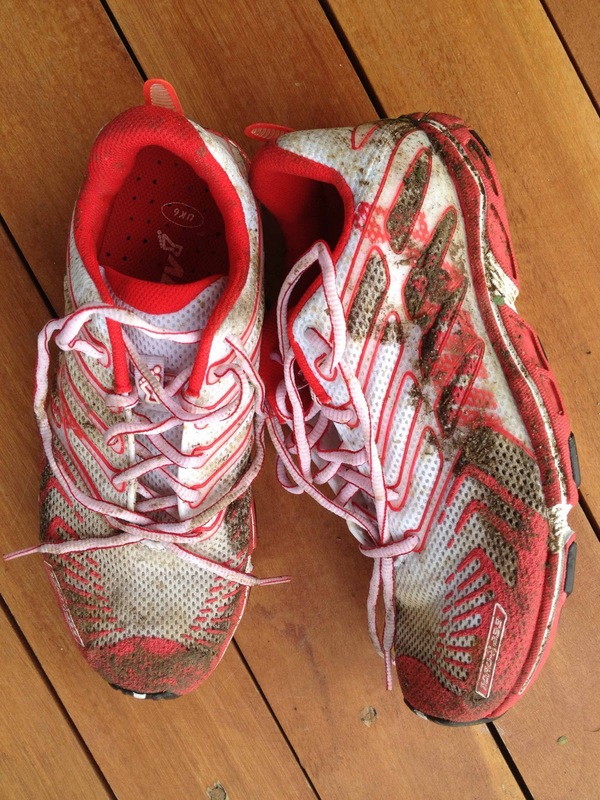 I like the fit of Inov8 shoes, and this was no different. The 233s are based on an anatomic fit, which mimics the shape of a foot and offers their most natural fit. There was plenty of room in the toe box, and again I had no hot spots or chafing. I didn’t try these without socks, so can’t comment on that. I have narrow feet and used to struggle to find shoes that fit well. These are also a unisex sizing, which differ from gender specific fit, so try them on to get the right size. I wear these in a different size to the F-Lites due to the different fit (anatomic vs performance), so it’s quite important to try before you buy! 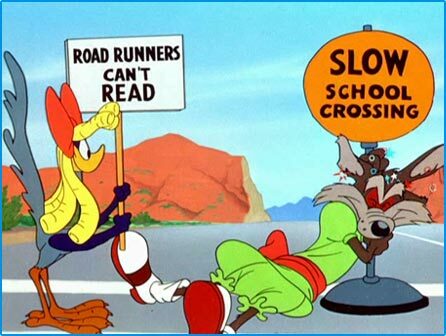 And then the marathon. Despite my dismal result, the shoes did well. Light and bouncy (by my racing standards), my feet had a great time in the 233s. Shame I can’t say the same about the rest of my legs! 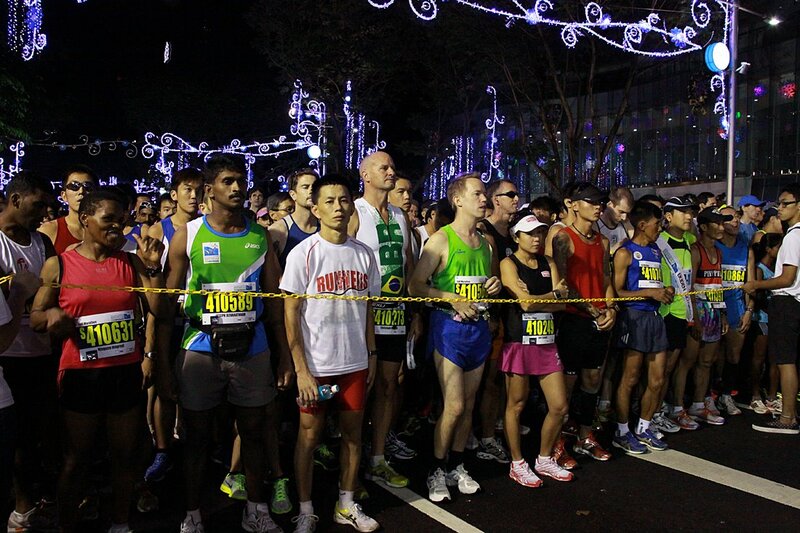 The Dynamic Fascia Band must have worked it’s magic .. no indicative PF soreness post-race. I did have sore toes, though .. both big toes and the little toe on my right foot. To be fair, my right foot is probably half a size bigger due to an old rock-climbing scar on the back of my heel. I think my extended time off running allowed my feet to soften … time to toughen them up again! Great in the wet, too! Love your blog. It's one of my favorite running blogs. Keep on writing please!